SOB is compatible with C-MAP electronic charts - either from the C-MAP Chart Selector DVD (posted or downloaded), or the chart cartridges (as used in Plotters). C-MAP NT, NT+ or MAX charts can be used with SOB. Note: SOB is not compatible with the CM93 or the MAX Pro charts. 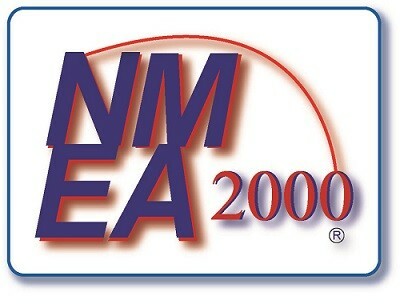 * NMEA2000 (or N2K) is included in SOBv11 and newer. To connect a PC with NMEA2000 an interface device, such as the Actisense NGT-1 is required. DigiBOAT provides this for Windows users as Software-On-Board (SOB). SOB is free of charge for a 3 month (90 days) trial period, and thereafter reverting to a free LITE version or pay to upgrade your copy to the Standard or Pro Licensed version. C-MAP Electronic Charts are the industry leader and are fully compliant with SOB. SOB will read MAX and NT/NT+ C-MAP charts: NTonPC, MAXonPC, or Cartridge (USBMM, USBCC, USBFP, PCMCIA) formats. SOB cannot read CM93 or Max Pro charts. Any recent model laptop or desktop with at least 128Mb RAM, running Windows™ 2000 or newer operating system. Almost any GPS manufactured since 1993 should work with SOB. The GPS must be NMEA 0183 compatible or part of a NMEA 2000 backbone*. Some older models may require data interface boxes which may no longer be available. Any GPS manufactured in the past 10-15 years is sure to be suitable, and apart from requiring a data cable (a standard accessory), will be pre-configured to work with little or no setup. Modern USB or Bluetooth connected GPS units are suitable for use with SOB. ECDIS defines a complete computerised navigation solution including the charts, computer hardware, GPS and required system features. These complete solutions are built to specifications from official international bodies such as SOLAS, IMO and IHO and are recognised as true replacements for paper charts and traditional navigation methods. Simply installing a nav program and electronic charts on your laptop does not comprise an ECDIS solution. Check with your National maritime body whether this setup is a legal replacement for paper charts in your country. C-MAP electronic charts are the choice of more than 50 chart plotter manufacturers worldwide. With 20 offices in 17 countries around the globe, C-MAP is a world leader in precision navigation serving the recreational marine, professional fishing, commercial shipping, military and aviation markets with advanced charts and charting systems. Also referred to as ENC (Electronic Navigational Charts). ENCs are vector format charts from official sources. Most Nations' ENCs are created by the government, or private companies contracted by the nation's Hydrography department. Various international "Standards Bodies" control the quality and accuracy of ENCs. The underlying data format in digital vector charts is known as the S57 standard, with S52 an extra "Presentation Standard" for nautical S57 charts (S57 data is used for most modern vector maps, including terrestrial for instance). The S52 sets the standard for cartography symbols for displaying nautical objects such as lights, buoys, turbulence etc. So a combination of S57 and S52 data signify the chart as an ENC. C-MAP electronic charts are created from official S57/S52 data making them fully compliant with international chart standards. The S57 data is converted to C-MAP's encrypted format from all international chart data suppliers, creating seamless and consistent global coverage. C-MAP also enhances the official data with improved chart object display and additional features and information such as tides and tidal streams; ports; marinas; aerial photographs; etc. NT, NT+, and MAX charts. The charts supported include all C-Map media types: CD charts, C-Card, SD Card, FP (Furuno) cartridges, PPI cards. Refer to this FAQ Topic for information about getting and installing C-Map charts from the Selector CD.